In terms of education, however, the situation in Puerto Rico has slowly improving. An aggressive program of school constructions resulted in an increase in the number of children who attended school from 9% in 1900 to almost 50% by 1940. A controversial component of the U.S. education policy that applied to Puerto Rico was the use of English as the teaching language, a decision humorously satirized in Don Abelardo Díaz Alfaro’s short story “Peyo Mercé teaches English” . In 1930, U.S. President Herbert Hoover named José Padín Rodríguez, a Puerto Rican, as Commissioner of Instruction. Under his leadership, a study was completed; it demonstrated that children learned better in their first language, and not in English. By 1934, instruction in Spanish became official at the elementary and middle school levels, and English was included in the curriculum as a subject . The development of the first locally-made elementary science curricula was a responsibility of Rosa Navarro Haydon. This eminent educator had an essential, but almost forgotten role, in a critical transition in the history of Puerto Rican education. She was intimately related to the development e implementation of science curricula at the elementary level, the publication of scientific booklets and textbooks, and the training of science teachers starting in the 1920s and culminating near 1970. In addition, she was one of the first communicators of Puerto Rican science in magazines aimed at the general public and tourists. The following essay uses personal communications and historical documents to summarize the life and accomplishments of Prof. Navarro Haydon, one of the first science educators in Puerto Rico. Even though her biography is unknown to many, it is very important to preserve as much evidence as possible of her pioneering and innovative work in school science education and scientific communication. According to documents obtained in her employee file , Prof Navarro Haydon was born on February 9, 1905, in Redlands, California. 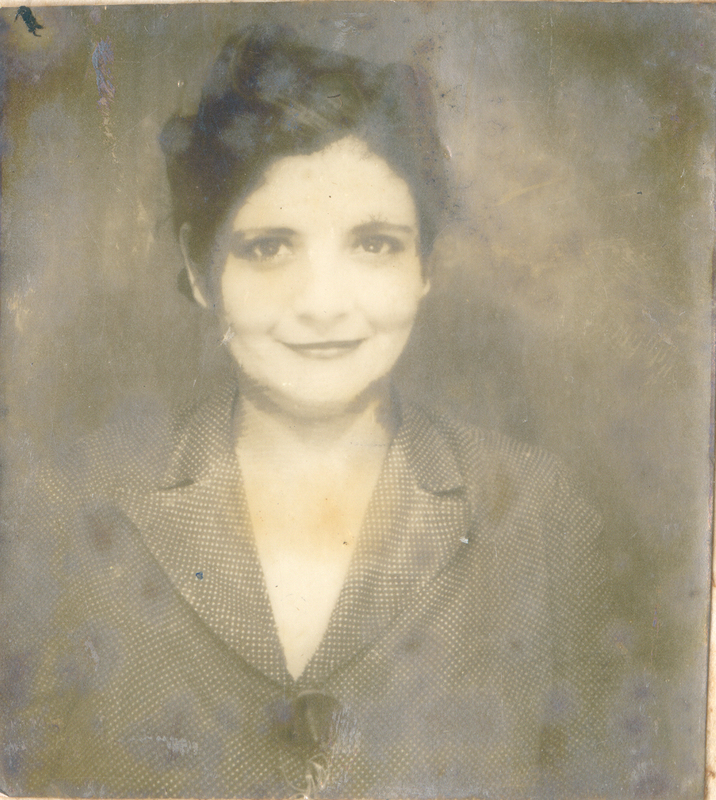 Her Mexican parents, Saturnino Navarro and Genoveva Carrión, moved first to El Paso, Texas, where Rosa completed her elementary school at the “Bailey School”, and then to Aguadilla, where she completed her high school degree (See Figure 1). In 1926, Rosa Navarro Haydon completed a Bachelor’s Degree in Education at the University of Puerto Rico, Río Piedras Campus or UPRRP . Her excellent work as a laboratory assistant in the Department of Pedagogy during academic years 1924-1925, probably helped her to stay in the Department after graduation, where he worked as an Instructor. After receiving a scholarship from the “International Institute of Columbia University”, New York, in 1929-1930 Prof. Navarro Haydon receives a sabbatical from UPRRP to complete her Masters Degree in Science Education with an emphasis in Educational Supervision, a degree she completed in 1930. Interestingly, she completed a second Bachelor’s Degree in 1934, this time in Business Education . Figure 2. Covers from the "Courses in science studies, grades I to VI". Photo courtesy of Jessica Ríos Santiago. A couple of years later, in 1936, Prof. Navarro Haydon published four illustrated booklets, aimed at the general public, communicating information regarding fruit trees, ornamental trees, flowers and birds of Puerto Rico [8-11]. These booklets included common and scientific names of trees and birds, illustrations of different species, and detailed physical descriptions. Figure 3 shows the cover and introduction of “Common Flowers of Puerto Rico”, one of the booklets in the series. From January to May 1937, Prof. Navarro Haydon obtained a second sabbatical to complete 19 doctoral credits at University of Columbia, including courses in science, science education, and foundations of education. In 1938, she obtained the rank of Assistant Professor at the Department of Pedagogy . Five years later, Prof. Navarro Haydon received another sabbatical, this time to visit the Charleston Museum, directed at the time by E.B. Chamberlain. This museum, still open to the public, consisted back then of historical and scientific exhibits. The goal of the visit was for Prof. Navarro Haydon to learn about organizing and administering a science museum, essential information needed for her to establish the Museum of Biological Sciences, Faculty of Natural Sciences, UPRRP. She was the museum director from 1944-1945 . Figure 3. Common Flowers in Puerto Rico, Book cover and introduction. Photo courtesy of Jessica Ríos Santiago. In 1947, Prof. Navarro Haydon reached the rank of Associate Professor in the recently inaugurated Department of Methodology and Practice, the culmination of two decades of teaching, supervision of student-teachers, and mentor for the teachers at the UPRRP laboratory School . An interesting detail in her career was her support to a number of student-centered activities. For many years, she collaborated in different clubs, such as the Club of Birds and Forests. She chaperoned a group of students for an Europe trip; the trip was described in a letter rom Chancellor Jaime Benítez as a “cultural and studying trip… sponsored by the University administration”. The academic group visited New York, France, Spain, Italy, Switzerland, Germany, and Holland during the summer of 1954 . From 1954-1956, Prof. Navarro Haydon was the Director od the Humacao Extramural Center (Now UPR Humacao Campus). It was also in this decade when, along with colleague Pedro A. Cebollero, that she wrote and published the “Our World” science book series [12-15]. These serve as textbooks for public schools in Puerto Rico and other Latin American countries. See Figure 4. Also, Prof. Navarro Haydon collaborated again with the Department of Public Instrucion’s curriculum revisions, updating the elementary science curriculum (See Figure 5). In 1956, Rosa Navarro Haydon achieved the rank of Full Professor. Figure 4. Front cover and inside cover from "Science Today and Tomorrow". Photo courtesy of Jessica Ríos Santiago. Figure 5. Inside cover from "Science Program for elementary school". Photo courtesy of Jessica Ríos Santiago. During the 1960s, Prof. Navarro Ramos had many additional achievements, including the publication of monographs and professional articles, and the creation of the UPR Geology Club, a club that was extremely active, collaborating with the Puerto Rico Geologic Society and related academic groups . See Figure 6. Figure 6. Cover from “Road log and guide for a geologic field trip through central and western Puerto Rico.” Photo courtesy of Jessica Ríos Santiago. The professional impact of Prof. Navarro Haydon on science education expanded internationally. She led workshops and conferences on the teaching of science for teachers, principals, and school supervisors in Guatemala, Dominican Republic, Mexico, Cuba, United States, and Colombia. It was Colombia one of the countries who adopted Prof Navarro Haydon’s “Our World” textbook series for their public schools (T. Haydon, personal communication, November 13, 2015). Her effort to disseminate local science information also included about twenty articles published in the magazine “Happening in Puerto Rico”, a monthly tourist guide of the Puerto Rico Department of Economic Development (See Figure 7). Prof. Navarro Haydon’s interesting articles informed and educated visitors and the general public about topics ranging from local birds, corals, geology, coquíes, sugarcane, coffee, and mollusks, to fluorescent bays, pineapples, avocados and acerolas. Figure 7. Cover of the magazine "What's happening in Puerto Rico", 1962. Prof. Navarro Haydon retired from the UPRRP in 1966, leaving an academic inheritance consisting of hundreds of science teachers whom she trained, and dozens of academic and general publications on science and science education. Despite the historical distance, the legacy of Prof. Navarro Haydon still persists in the new generation, and preserving it is essential. Thanks to the following contributors to this essay: (1) Lic. Don Thomas D. Haydon, son of Prof. Rosa Navarro Haydon; (2) Ms. Iveliz M. Cruz Irizarry, Administrative Officer, UPRRP Archives; and (3) Miss Jessica Ríos Santiago, undergraduate student, UPR Natural Sciences. Lopez-Yustos, A. (1991). Historia documental de la educacion en Puerto Rico. San Juan, PR: Publicaciones Puerorriqueñas, Inc.
 Negrón de Montilla, A. (1990). La americanizacion de Puerto Rico y el sistema de instrucción pública 1900-1930. Río Piedras, Puerto Rico: Editorial de la Universidad de Puerto Rico. Osuna, J. J. (1949). A history of education in Puerto Rico. Rio Piedras, Puerto Rico: Editorial de la Universidad de Puerto Rico. Universidad de Puerto Rico (2016). Expediente académico de la Prof. Rosa Navarro Haydon. San Juan, PR: Archivo Histórico de la UPR.
. T. Haydon, comunicación personal, 13 de noviembre de 2015. Navarro Haydon, R. (1931a). Curso de estudio: Ciencia para los grados I al III. San Juan, PR. Universidad de Puerto Rico. Navarro Haydon, R. (1931b). Curso de estudio: Ciencia para los grados IV al VI. San Juan, PR. Universidad de Puerto Rico. Navarro Haydon, R. (1936a). Árboles frutales en Puerto Rico. San Juan, P.R. Imprenta Romero & del Valle. Navarro Haydon, R. (1936b). Árboles ornamentales en Puerto Rico. San Juan, P.R. Imprenta Romero & del Valle. Navarro Haydon, R. (1936c). Flores comunes en Puerto Rico. San Juan, P.R. Imprenta Romero & del Valle. Navarro Haydon, R. (1936d). Pájaros en Puerto Rico. San Juan, P.R. Imprenta Romero & del Valle. Cebollero, P. A. y Navarro Haydon, R. (1953). Nuestro mundo tropical. Boston, MA: Ginn and Co.
 Cebollero, P. A. y Navarro Haydon, R. (1955). Nuestro mundo: Tierra y cielo. Boston, MA: Ginn and Co.
 Cebollero, P. A. y Navarro Haydon, R. (1956). Nuestro mundo: Aire y sol. Boston, MA:Ginn and Co.
 Cebollero, P. A. y Navarro Haydon, R. (1957). La ciencia en nuestra vida. Boston, MA:Ginn and Co.
 Navarro Haydon, R. and Turner, M. D. (1959). Road log and guide for a geologic field trip through central and western Puerto Rico. Published by Colegio de Agricultura y Artes Mecánicas, Mayaguez, and Economic Development Administration. Second Caribbean Geological Conference, 4-9 January. Jaramillo, L. G. (2012). Mi upi. Revista El Pedernal, 7-9. * Curso de estudio: Ciencia para los grados I al III. San Juan, PR. Universidad de Puerto Rico. * Curso de estudio: Ciencia para los grados IV al VI. San Juan, PR. Universidad de Puerto Rico. * Need of science teaching in the elementary school. Summer School Review Journal, 4-5. Universidad de Puerto Rico. * Prueba pictórica standard para ciencia. Co-escrito con Fred C. Walters. * Árboles frutales en Puerto Rico. San Juan, P.R. Imprenta Romero & del Valle. * Árboles ornamentales en Puerto Rico. San Juan, P.R. Imprenta Romero & del Valle. * Flores comunes en Puerto Rico. San Juan, P.R. Imprenta Romero & del Valle. * Pájaros en Puerto Rico. San Juan, P.R. Imprenta Romero & del Valle. * Curricular Developments in the Teaching of Science in Puerto Rico. Science Education, 23, 335-42. Co-escrito con Andrés Montalvo and María A. Ruizanchez de Master. * Nuestro mundo tropical. Boston, MA: Ginn and Co. Editado en colaboración con el Departamento de Instrucción Pública. Co-escrito con Pedro Ángel Cebollero. * Nuestro mundo: Tierra y cielo. Boston, MA: Ginn and Co. Editado en colaboración con el Departamento de Instrucción Pública. Co-escrito con Pedro Ángel Cebollero. * Nuestro mundo: Aire y sol. Boston, MA: Ginn and Co. Editado en colaboración con el Departamento de Instrucción Pública. Co-escrito con Pedro Ángel Cebollero. * La ciencia en nuestra vida. Boston, MA: Ginn and Co. Editado en colaboración con el Departamento de Instrucción Pública. Co-escrito con Pedro Ángel Cebollero. * La ciencia en la educación de los niños. Revista Pedagogía, Universidad de Puerto Rico, 7 (1-2). * La ciencia hoy y mañana. Boston, MA: Ginn and Co. Editado en colaboración con el Departamento de Instrucción Pública. Co-escrito con Pedro Ángel Cebollero. * Programa de ciencias para la escuela elemental: Grados Kindergarten, primero, segundo y tercero. San Juan, PR. Universidad de Puerto Rico. * Puerto Rico's flowering Christmas. San Juan, PR: Office of Information, Economic Development Administration. December issue. * Road log and guide for a geologic field trip through central and western Puerto Rico. Published by Colegio de Agricultura y Artes Mecánicas, Mayaguez, and Economic Development Administration. Second Caribbean Geological Conference, 4-9 January. Co-authored with Mort D. Turner. * Corals. San Juan, PR: Office of Information, Economic Development Administration. May issue. * Our feathered visitors. San Juan, PR: Office of Information, Economic Development Administration. February issue. * Programa de ciencias para la escuela elemental: Grados cuarto, quinto y sexto. San Juan, PR. Universidad de Puerto Rico. * Puerto Rican birds. San Juan, PR: Office of Information, Economic Development Administration. March issue. * Scenic geology in Puerto Rico. San Juan, PR: Office of Information, Economic Development Administration. October issue. * Sea shells. San Juan, PR: Office of Information, Economic Development Administration. July issue. * The trade winds. San Juan, PR: Office of Information, Economic Development Administration. September issue. * Animales de la playa/Animals of the seashore, de Bertha Morris Parker (traductora) Evanston, Ill., Row, Peterson and Co. Serie educativa de ciencia básica versión española del Departamento de Instrucción Pública, Hato Rey, Puerto Rico. Nivel primario. * Coqui, coqui, coqui. San Juan, PR: Office of Information, Economic Development Administration. May issue. * Indians and indigenouos plants. San Juan, PR: Office of Information, Economic Development Administration. Month not available. * Phosphorescent bay. San Juan, PR: Office of Information, Economic Development Administration. July issue. * Tropical Christmas arrangements. San Juan, PR: Office of Information, Economic Development Administration. December issue. * El desfile de los insectos/The insect parade, de Glenn Orlando Blough y Bertha Morris Parker (traductora) Evanston, Ill., Row, Peterson and Co. Serie educativa de ciencia básica versión española del Departamento de Instrucción Pública, Hato Rey, Puerto Rico. Nivel primario. * Juguetes/Toys, de Bertha Morris Parker (traductora) Evanston, Ill., Row, Peterson and Co. Serie educativa de ciencia básica versión española del Departamento de Instrucción Pública, Hato Rey, Puerto Rico. Nivel primario. * La enseñanza de la ciencia en la escuela elemental. Monografía, Programa de capacitación profesional de maestros dominicanos. San Juan, PR: Universidad de Puerto Rico. * Marine fish in Puerto Rico. San Juan, PR: Office of Information, Economic Development Administration. August issue. * Puerto Rican Coffee. San Juan, PR: Office of Information, Economic Development Administration. October issue. * Sugar in January. San Juan, PR: Office of Information, Economic Development Administration. January issue. * The Geology Club of Puerto Rico. Transactions of the 2nd Caribbean Geological Conference, Mayaguez, Puerto Rico. * Aguacate. San Juan, PR: Office of Information, Economic Development Administration. August issue. * La acerola. San Juan, PR: Office of Information, Economic Development Administration. March issue. * La ciencia en la escuela elemental al ritmo de los cambios sociales. Revista Pedagogía, Universidad de Puerto Rico, 11(1-2). * Maravillas de la ciencia: Aire y sol. Cali, Colombia. Editorial Norma. Co-escrito con Pedro Ángel Cebollero. * Maravillas de la ciencia: La ciencia en nuestra vida. Cali, Colombia. Editorial Norma. Co-escrito con Pedro Ángel Cebollero. * Maravillas de la ciencia: La ciencia hoy y mañana. Cali, Colombia. Editorial Norma. Co-escrito con Pedro Ángel Cebollero. * Maravillas de la ciencia: Nuestro mundo tropical. Cali, Colombia. Editorial Norma. Co-escrito con Pedro Ángel Cebollero y Carlos Paez Pérez. * Maravillas de la ciencia: Tierra y cielo. Cali, Colombia. Editorial Norma. Co-escrito con Pedro Ángel Cebollero. * Pineapple. San Juan, PR: Office of Information, Economic Development Administration. May issue. * Puerto Rico for a shell trip. Shells and their neighbors, 16, 67. Journal published in Redlands, California. * Sources of our Christmas sweets. San Juan, PR: Office of Information, Economic Development Administration. December issue. * The African egret in Puerto Rico. San Juan, PR: Office of Information, Economic Development Administration. April issue. * Tropical fruits. San Juan, PR: Office of Information, Economic Development Administration. June issue. * The roble and frangipani. San Juan, PR: Office of Information, Economic Development Administration. July issue. * Cómo se formó Puerto Rico. San Juan, PR. Instituto de Cultura Puertorriqueña. * Los orígenes geológicos de Puerto Rico. In Ricardo E Alegría and Rosa Navarro Haydon, Temas de la historia de Puerto Rico, Centro de Estudios Avanzados de Puerto Rico y el Caribe, San Juan, Puerto Rico. Departmento de Education.